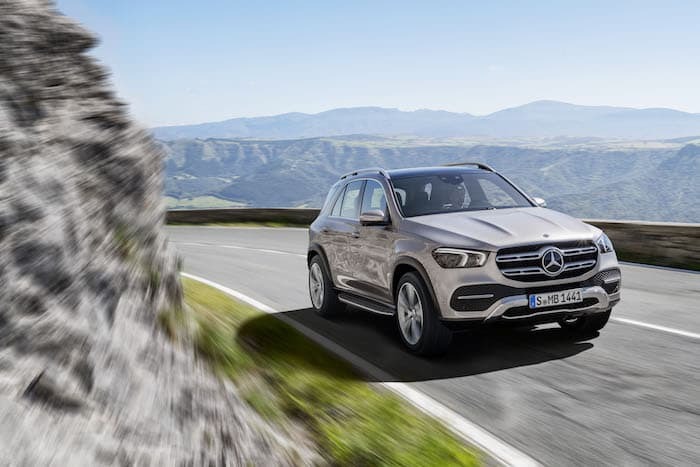 The new Mercedes Benz GLE was made official earlier this week and now Mercedes has released a video of their new SUV. The Mercedes GKW will go on sale in March of 2019 and it will make its worldwide debut at the paris Motor Show next month. The new Mercedes-Benz GLE has a wealth of innovations. For example, E-ACTIVE BODY CONTROL is a 48-volt active suspension system and a world first, while the driver assistance systems take another step forward with Active Stop-and-Go Assist. The interior is even more spacious and comfortable, with a third seat row available on request. The infotainment system has larger screens, a full-color head-up display with a resolution of 720 x 240 pixels and the new MBUX Interior Assistant, which can recognize hand and arm movements and supports operating intentions. The exterior design not only exudes presence and power, but also sets a new standard for aerodynamics in the SUV segment. The GLE will receive a new range of engines and the new 4MATIC system ensures great agility on the road and superior performance off the beaten track. You can find out more details about the new Mercedes Benz GLE over at Mercedes at the link below.